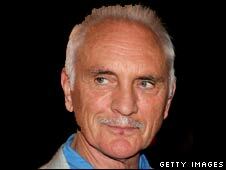 Veteran British actor Terence Stamp has been granted a divorce from wife Elizabeth O'Rourke on the grounds of his unreasonable behaviour. Neither Stamp, 69, nor his wife, 33, was present at the High Court Family Division in London to hear District Judge Redgrave grant a decree nisi. The Priscilla, Queen Of The Desert star married Ms O'Rourke at Westminster Register Office on New Year's Eve 2002. The couple first met in the mid-1990s in Australia. It was the first marriage for Stamp, who now spends most of his time in the US.